How many of you are managing more than one Gmail accounts? I am having more than one accounts and I often think it would be nice if I can log in to all by a single login. Google has a solution for those who are struggling to handle multiple email accounts. That solution is called Email Delegation and this feature authorizes any other Gmail accounts to access your Gmail account without typing or knowing your password. Don't worry, nobody can access your email without your authorization. The 'grant access request' must send from your Gmail account and the second user should accept it. After the verification, he can log in to your mail account without typing your password via his account. You can block the user at any time if you are not willing to grant entry for him anymore. 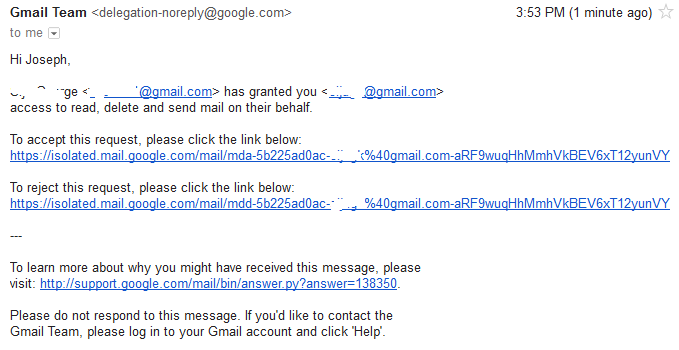 In order to enable Email Delegation for your Gmail ID, follow the steps below. Once you click the link "Add Another Account" you will get a popup where you can type the email address of the desired ID using which the entire emails coming to you can be read. Now a confirmation mail will send to the email ID typed here. Once after he verified it, he will be able to access and read emails on your behalf at any time. The confirmation mail looks like one below. He can either confirm or reject the offer. You don't need to worry if you are no longer interested to give access to your Google mail. You can always end it on your own. Once after the email delegation feature is activated you will see an alert like one for seven days. Look at the image below to see how the warning looks like. It is important to note that, this alert will come to an end after seven days. So how you stop someone from access your Google email? It is very easy. 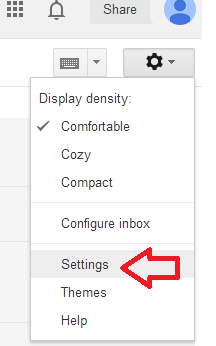 You may log in to Gmail settings page and check whether is there any ID which has access to this id. You can see one like shown below. All you have to do is to click the delete button. Once you delete the ID, they will never again see or read emails comes to you.